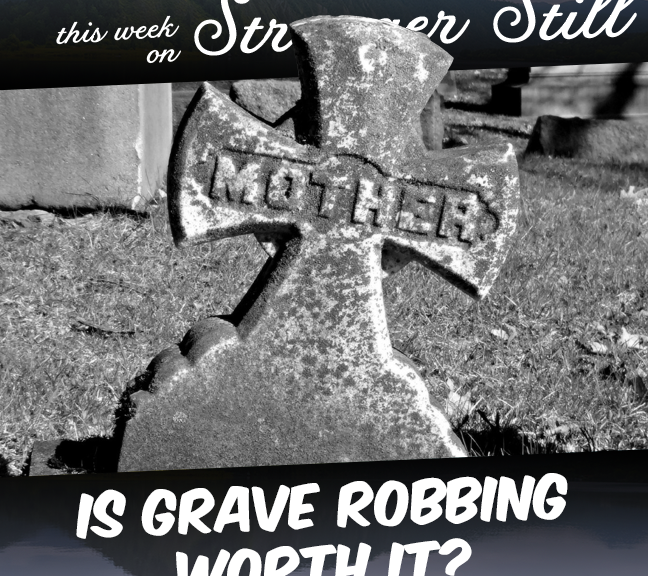 In this episode, we explore the question, “Is grave robbing worth it?” Like any other person out there, you might be wondering if it would be worth it to rob a grave. Turns out, there’s a prolific history to grave robbing and it’s a bad idea! We also brought leading creepypasta expert, Jeff Kowalski (of Creepy Podsta). Will we forgo history and rob some graves anyway? Join us in finding out and laughing along the way!